The knit tie, made in silk or linen, is a nice summer option. Billy Reid makes the above- all of which would look amazing with a white button down. Sid Mashburn and Ledbury have some incredible color options as well that beautifully complement the bright days of summer. 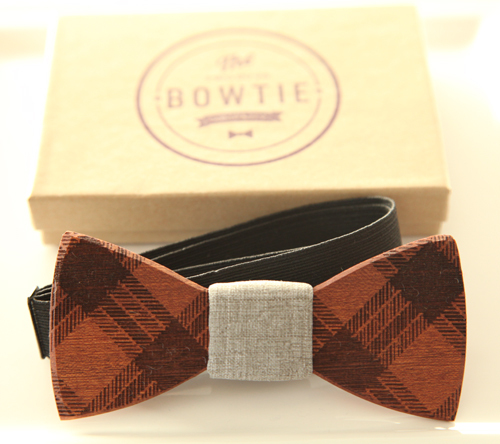 For those who like to mix things up a bit, a wooden bow tie offers a nice change of pace. Created by Adam Teague and Tim Pasley of Tulsa, Oklahoma, these ties are unique conversation pieces that add a modern flair to a man's attire. Adam and Tim craft the ties themselves from various hardwoods such as walnut, bocote, canary and zebrawood. With over two dozen to choose from, there's pretty much a bow tie for any outfit- or customize your own here.